Wicked Wonderful Words: Italian books? In less than two months, my boyfriend and I will be going to Italy on vacation and I cannot wait! So in (eager) anticipation I'm planning to read lots of books about Italy or by Italian authors but I have to admit that I find it difficult to find good ones. So this is an official call for help! Please please please recommend books that I can read to get in the dolce vita mode. From amazon.co.uk: "Fed up with cold, foggy London and the high cost of real estate, Annie Hawes is persuaded by her sister Lucy to travel to Italy and graft roses for the winter. The sisters arrive in rural Liguria with some formal Italian, no knowledge of rose grafting, and visions of Mediterranean men and sun. 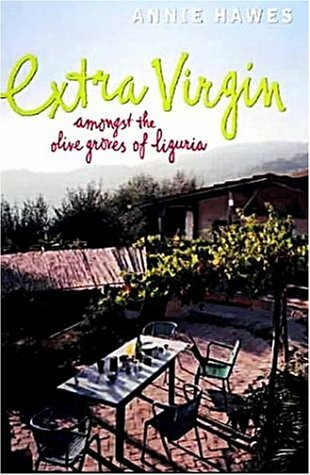 What they find is a town full of hard-working, wary olive growers smack in the middle of an olive oil depression who think these two young Englishwomen are nuts. Extra Virgin tells the story of the sisters' acclimation--theirs to Liguria and Liguria to them--and how they fell in love with a crumbling farmhouse in the hills." From amazon.co.uk: "Saviano has created a perfectly realized, morally compelling journey through the brutal world of contemporary Italian mob life in this ceaselessly violent tale of the Camorra, a network of thugs, exploiters and killers who run Naples and the surrounding countryside. Armed with a police band radio, Saviano visits one crime scene after another, recording the final words and circumstances of the dying and dead. The murders described are savage, cruel and senseless: The head... hadn't been cut off with a hatchet, a clean blow, but with a metal grinder: the kind of circular saw welders use to polish soldering. The worst possible tool, and thus the most obvious choice. Jewiss's translation of Saviano's intense prose flows beautifully from the pestilence and degradation of everyday life in the teeming Neapolitan slums to the futile efforts of the police to control the rich, organic chaos that is the only way the Camorra know how to live." Then there is Umberto Eco, probably the most well known Italian author. I haven't read it, but The Solitude of Prime Numbers is by Italian author Primo Levi. An award winning female Italian author is Elena Ferrante, with Days of Abandonment and The Lost Daughter published in English by Europa Editions. Have a great trip! I started reading and absolutely loving the Divine Comedy, which is the incarnation of Italian literature, but not very dolce vita style. When I was in Italy I also read A Room with a View, which tells the story of a young girl travelling Italy at the beginning of the 20th century and falling in love there. I did not like it too much, but everyone disagrees with me on that point, so you may want to check it out. I would add The City of Falling Angels (by the author of Midnight in the Garden of Good and Evil) which gives a fascinating look at the history of Venice. Also, I just finished The Monster of Florence and it was really good! Have a great trip! I recommend "If on a winter's night a traveler" from Italo Calvino. It's a little bit italian and if you like interesting books about reading and writing and authors and a strange fiction, than you should read this. It a little bit confusing to read but very interesting. And have a nice vacation! Italy is wonderful. @Judy: Thanks! I have never heard of Amara Lakhous before but I have had a look and the book looks like it is perfect for me! And I love Eco, fantastic author. @Cassandra: I gave up halfway through Room with a View, it just didn't catch me. But will give Dante a try, I really want to read The Divine Comedy. @Melissa: I loved Midnight in the Garden of Good and Evil so will definitely give City of Falling Angels a try! And I am with you on The Monster of Florence, it is really captivating. I'll second City of Falling Angels, it's riveting. And, again, if you're going to Venice, Miss Garnet's Angel (Salley Vickers) is lightweight but irresistible, as is Summer's Lease (John Mortimer) if you're going to Tuscany. However my absolutely favourite Italian novel ever is The Leopard (Lampedusa), which had me completely engrossed in a different world and time. And for a much grittier vision of modern Italy there's I'm Not Scared (Ammaniti), which I couldn't put down - the film Io Non Ho Pauro is brilliant, too. Then there's Daisy Miller, and The Aspern Papers ... how long are you going for?